Mobile suction filter type Cleanmaster for the suction and filtration of almost all fumes created during soldering applications. 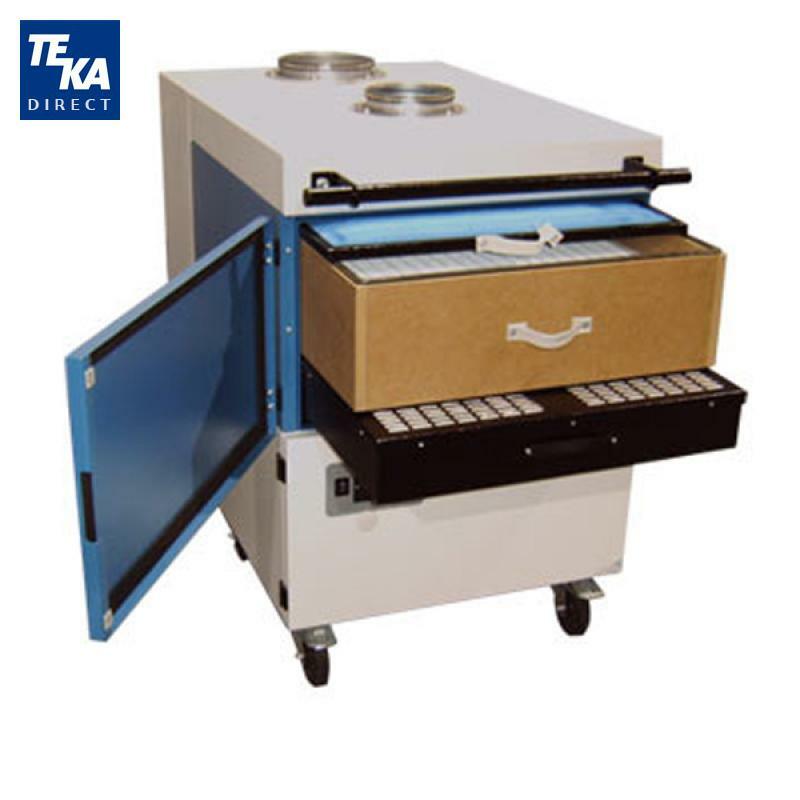 The filter unit is suitable for the circulating air-operation. 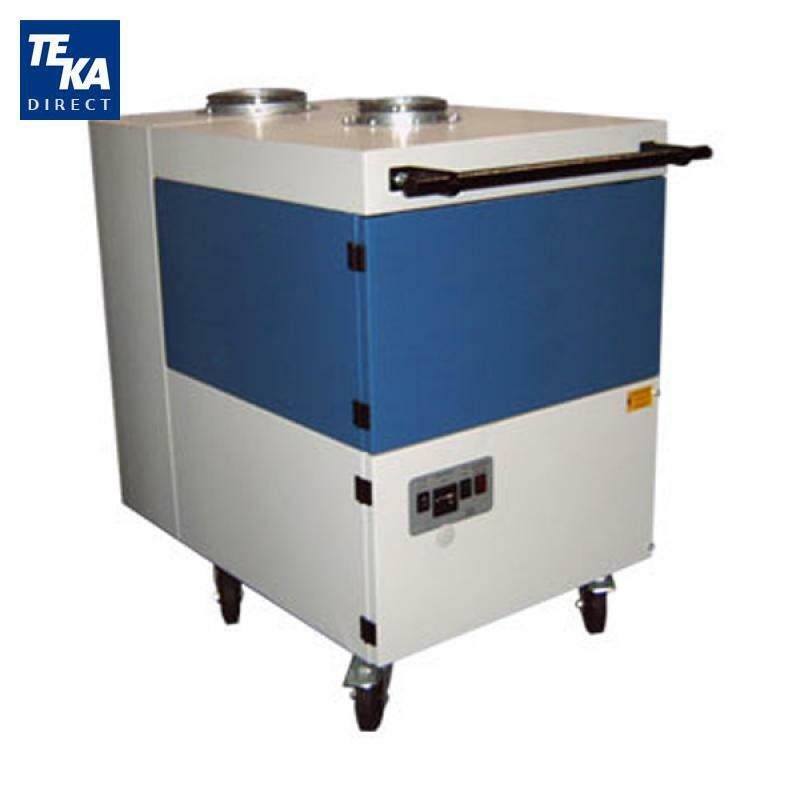 The filter unit is made of a stable steel sheet. The complete powder coating of the housing guarantees a maintenance-free operation even under hard operating conditions. A large pre-filter of the filtering category F5 separates the rough particles. Subsequently the air is lead through the high efficiency submicron particle air-filter H13 (separating degree of 99,95%) where the last fine particles are separated. This filter unit is equipped with an active carbon filter-cassette as a final filter. As a standard the sealing face lifter is fitted into the filter unit guaranteeing the absolute tightness therefore, the high separation degree of the filter unit. The filter device is equipped with a high performance fan, type negative pressure. The high flow rate is guaranteed even if the filter is saturated. Therefore, we realize reasonable service lives of the filter elements. An automatic filter monitor indicates the necessary change of the filter by means of a visual signal. The rotary field-indicator that is built-in the cable, protects the user for the wrong application (wrong direction of application of the fan) and with it for the decrease suction power.